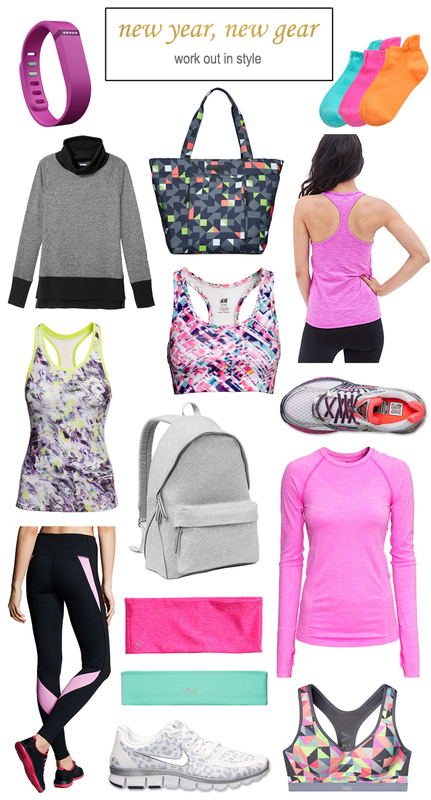 I'm so excited to be sharing lots of fitness gear finds today! While I'm no fitness pro, I am obsessed with cute workout clothes. I just feel so much more motivated and so much better about myself when I have cute gear to work out in! Growing up I was always extremely active with dance, and then was still pretty active in college and even my first year out of college (thanks to some amazing gym classes). But, now I've found that living in a smaller town with limited fitness options (it seems like everyone runs or does crossfit here), and enjoying my first 6 months of marriage a little too much, are really catching up to me. I'm completely diving back into a healthy lifestyle and have already gotten a good start on at-home workouts in this new year. For super affordable, cute workout clothes I love Forever 21, H&M and Old Navy (and also Target's sports bras). For my nicer leggings I've always gone with Nike, but I'm really wanting to try out Victoria's Secret and the Zella line that Nordstrom carries, because both have rave reviews. Other great and super cute fitness brands to check out this year are Albion Fit, Fabletics and Athleta.